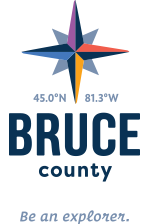 With a Lake Huron on the west and Georgian Bay on the east, Bruce County is endowed with lots of beaches! However, it’s not the quantity of beaches that’s intriguing as it is the fantastical diversity. On the Lake Huron side, where the water is warm and the shore is sandy, there are gorgeous, long strands, action-packed hangouts, and quiet, shallow coves. On the rocky Georgian Bay side, where the water is cold and emerald in colour with long flat ledges, sea caves and pockets of big boulders. Station Beach in downtown Kincardine has it all; boardwalks, playgrounds, sandy beaches, waves, piers and more. Amazing for little ones, this sandy beach has a nice gradual slope into Lake Huron that any age can enjoy. Tiny Tot Park just north of the pier is an amazing place for the kids to expend some energy and a boardwalk along the shoreline is a great place for a slow stroll or a jog. With co-ed beach volleyball every Friday night during the summer, Station Beach is always happening. And since it’s situated right downtown Kincardine, all the amenities of that great town are a short walk away. Come explore and find your favourite beach this summer! Everybody loves the beach; kids, seniors, parents, teenagers. What’s not to love? Sun + sand + water = fun. And the Bruce boasts some of the best beaches in the province, if not the country. While everybody and their grandmother has heard of Sauble Beach (which is an incredible place), with a little exploration, Bruce County, sandwiched between Lake Huron and Georgian Bay, will give up some amazing gems. The big beach at Port Elgin is a great place to beat the summer heat. With an expansive sandy beach, there is tons of parking, and tons of space to spread out your beach towel, put up a sunshade and just chill. With washroom and change facilities, plus all the amenities of Port Elgin itself, the beach at Port Elgin is a favourite of tourists and locals alike. This unique beach stretches for kilometers along the Lake Huron shoreline and is protected by the Fishing Islands. When you get to the tiny intersection of Oliphant, you can go right or left, there’s beach in both directions. The water is knee-deep for about as far as you can see, so young kids absolutely love playing here. There’s simply so much to explore, whether in the water or along the sand, that you’ll instantly love Oliphant. And if there’s wind, you’ll get to see the colourful kites of the kiteboarders as they skim along the top of the water. The locals call this Sandy Beach. Escaping the masses in Tobermory, isn’t that difficult if you know where to go; and the beach at Sandy Beach is one of those places. This is a lovely little place to enjoy a refreshing dip. While the beach itself isn’t your traditional sandy beach, the forest and trails provides plenty of entertainment for really young ones. They simply won’t want to leave. Check out more beautiful beaches here. turquoise water beaches here.